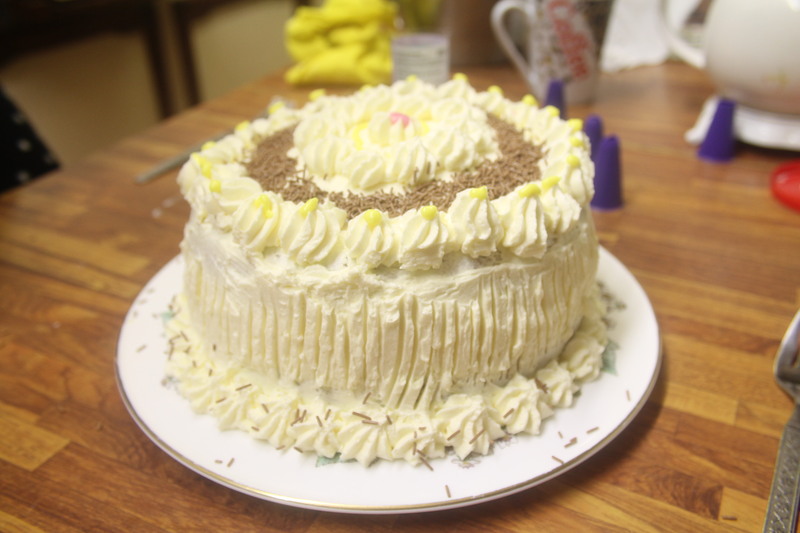 If you do not want to use cream cheese style icing for your red velvet cake then you can use this Italian Meringue Icing which is a very light buttery type of icing that taste delicious with red velvet cake. It is a little bit more work, but worth it! 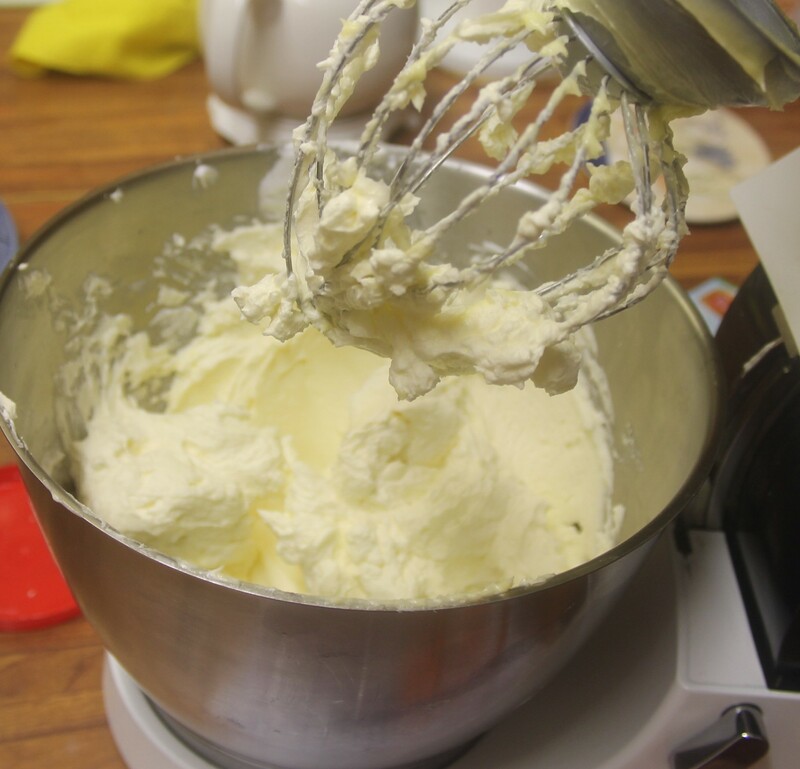 Meanwhile whisk 3 egg whites to a soft peak then very, very slowly add the sugar and water mixture. Whisk for 5 minutes. Allow to cool, if necessary put into the freezer. The egg whites must be cold for the next part. Slowly add the butter to the egg white mixture and blend together, not too fast, with a few drops of vanilla essence. You can add melted chocolate or lemon essence at this point. Or in fact any flavoring you like, but not too much liquid! Use this to sandwich together and coat any cake you like including the Red Velvet Cake we made last week. You can also use this for piping onto the top of any cake.